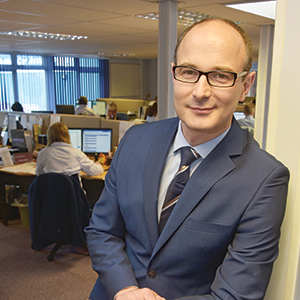 BCA has appointed Stuart Gibbons to the new role of director of buyer services. He will be responsible for developing new services for customers and enhancing the buying experience, reporting to Stuart Pearson, managing director UK remarketing. Mr Gibbons will lead a team that uses data from across BCA to continually monitor and improve the buyer experience. He joined BCA in January 2014 and as head of customer experience led the BCA Buyer Programme to improve processes for buyers and deliver a consistent quality of service across BCA’s customer contact centres. This included the development of an enhanced buyer feedback process and using NPS (net promoter score) to measure buyer satisfaction, along with supporting BCA’s network with initiatives for buyers and shaping the digital journey. Prior to joining BCA, Stuart Gibbons worked for over 20 years in commercial marketing, product management and customer experience roles and has a broad range of experience in manufacturing, digital advertising, financial services and insurance. BCA has over 70 years operating experience of a multi-channel exchange that provides an efficient and effective platform for matching vendors and buyers in the B2B used vehicle market. BCA operates in 12 countries at over 200 physical locations and through a range of digital platforms.